An important art and design event finds its footing at the historical theater—visit it now! 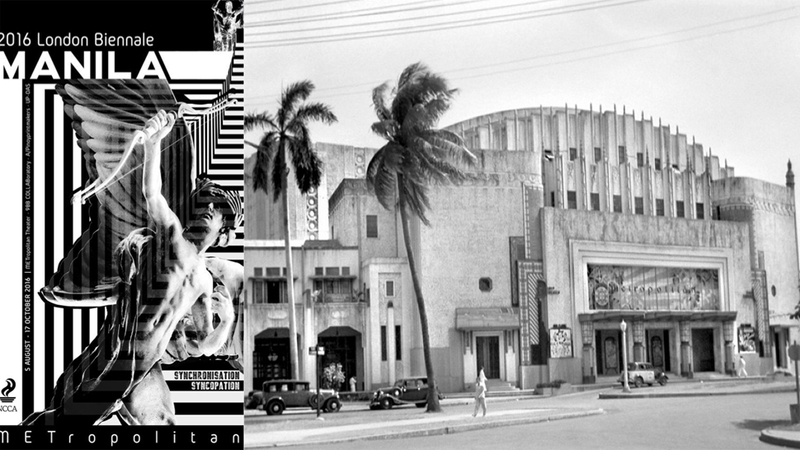 Manila’s storied art deco Metropolitan Theater has seen better days, but there are glimmers of hope for its future as the iconic structure gains recognition from both the national and international sphere (read more about the Met here). Once a premier venue for visual and theatrical arts for the first half of the 20th century, the derelict structure is now undergoing a heavy facelift thanks to its acquisition by the National Center for Culture and the Arts (NCCA). And this September, the theater’s reach expands even further, past local shores, as the London Biennale sets its sights on the storied building, along with other heritage buildings in Escolta. The Met and Escolta were chosen as two of the venues to draw interest from the public, and give the audience a chance to experience the events in these historical structures. It will run at the Met from September 17 to October 9, 2016. After this, the theater will be officially closed for renovation. The London Manila Biennale Pollination serves as a catalyst, disrupting the state of abandonment the theater has fallen into and ushering it into a hopeful resurgence as a cultural center within the heart of the metropolis. “The Metropolitan is today reliving its glorious past as one of the icons of Filipino culture,” continues Lico. “The Biennale is a first step toward the Metropolitan’s rebirth—reclaiming its heritage, identity and most definitely its purpose to once again be the cultural nexus at the heart of the historic capital.” The Metropolitan is a theater by the people and for the people. The city will experience it as such with these motions to bring it back to its former glory. “When the NCCA acquired the Metropolitan Theater, the structure was derelict. Through the Metropolitan Theater Clean-Up drive conducted December 2015 to June this year, the efforts of countless volunteers and volunteer organizations many areas of the theater were cleared of debris, and layers of history began to shine through,” Lico adds.